Process: First, I finger detangled my hair with coconut oil. Next, I parted my hair into four sections with my fingers. 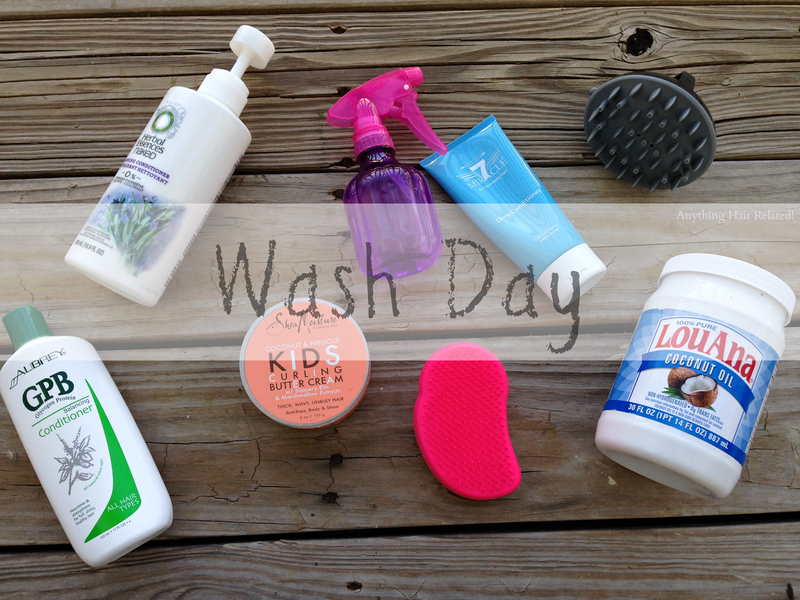 Afterwards, I cowashed my hair with Herbal Essences Cleansing conditioner, in sections. Also, I used my tangle teezer to gently massage my scalp to lift dead skin cells. I do not use the tangle teeze to comb my natural hair, in the past I did comb my hair with it, but now it works amazing in the shower for my scalp. I place the tangle teezer on my scalp and massage my scalp in circular motions. I make sure to hold my hair taut in an attempt to avoid tangling any hair. 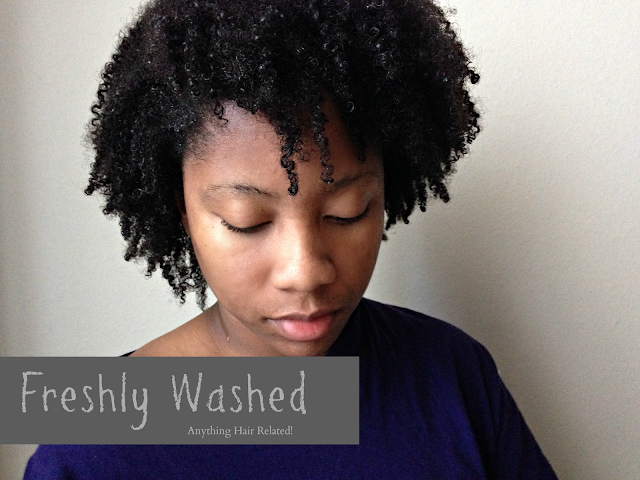 Next, I rinsed out the cowash and applied Miracle 7 deep conditioner to all four sections. Also, on the ends of my hair, I applied Aubrey Organics GPB Protein Balancing Conditioner as a monthly protein treatment. Then, I grabbed my handy dandy conditioning cap and a plastic cap to deep condition for 30 mins. After deep conditioning, I used my scalp invigorator for 1 minute to stimulate blood flow. The scalp invigorator really makes me feel like I'm having a spa day lol. Lastly, I rinsed out the deep conditioner with cool water and shook my hair of excess water instead to using a t-shirt/towel to dry (avoiding frizz). 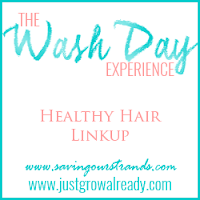 Styling: I tried to shake things up a bit this week with my hair style. I really love my flat twistouts so I had to incorporate them in some way heheheheheee. Once ya pop ya can't stop ya know! 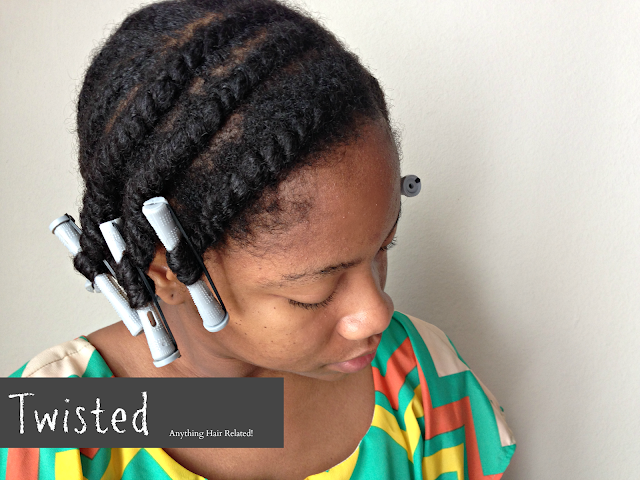 I do love flat twists though and I can't get enough of them (Like Pringles!). However, this week I incorporated a side part and PERM RODS. I have a lot of hair rollers that I rarely use! Moving on, I parted my hair with the end of a rattail comb to create my side part. Next, I created smaller sized flat twists on both sides of my head and in the back of my head. Instead of twisting the top half of my hair forward, like I usually do, I twisted my hair to the side toward my ears. If any hair dried out along the way, I sprayed it with water to dampen it. 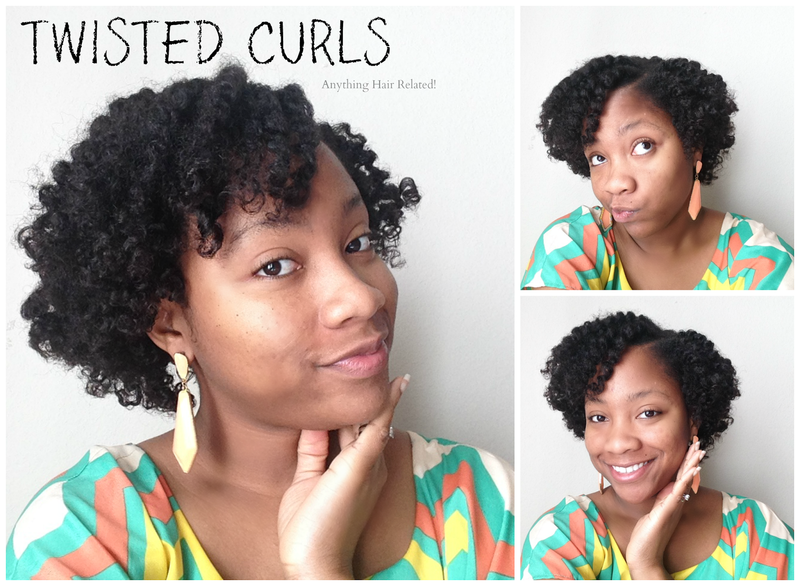 As for my styling products, I used Coconut Oil and Shea Moisture's Curling Buttercream to twist my hair with. Lastly, I twisted the ends of my hair on perm rods to create a curly look. I air dried my hair overnight. The next morning, I untwisted my hair with coconut oil on my fingers and gently fluffed. Some strands in the back of my head were looking a tad bit limp and lifeless so I snipped a few pieces. Well, I snipped a tad bit more than a few but I don't think it will show up on camera. I hope! I probably shouldn't own a pair of scissors. All in all I loved this look! All smiles! CUTE CUTE CUTE! Your hair looks super healthy About how many flat twists did you do? Thank you and I twisted 3 on each side and five in the back. Total was 11 twists! I love the texture of your wet hair! And your curls came out beautifully!